Shadow icon theme basically is a mixture of round and normal (square) shape icons, lets see where this theme will head in the future, it should choose shape what users asks. As creator mentioned this icon theme is his first so please bare any bugs or missing icons. You can report bugs or suggest new icons to include in this set via this link. 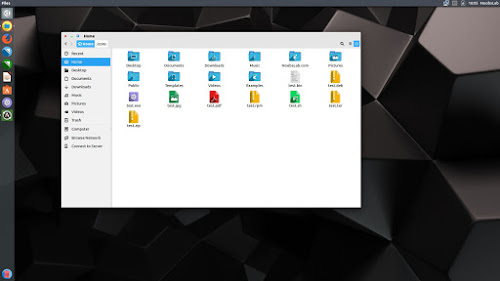 Libra GTK theme used in following screenshots. You can use Unity Tweak Tool, Gnome-tweak-tool or Ubuntu-Tweak to change themes/icons.